When I started my private practice in 2006, it didn’t take long before I realized that my phone wasn’t going to automatically ring off the hook with client calls. I had to actually market myself, and that was a scary thought! Whatever stage you are in with your private practice, you probably have experienced this same rude awakening. Because most of use struggle with this realization – that we have to market ourselves online – we invited Justin Lioi, a therapist in New York City, to share his story. In his relatable, funny post, Justin shares his internal struggles to accept that he has to market. But he also shares what he finds when he just does it despite his resistance! As a therapist I was not thrilled about creating a website. Actually, I was pretty angry about it. One more thing I was paying for while trying to start a private practice. Little did I realize that it would actually be a great way to simply do what we all do best: create relationships. This wasn’t going to just be a website, like an online business card. I was told I needed to create a blog too. This was kind of stunning—blogging to find new clients? What world do we live in? Who shops for their therapist on the internet? Can you think of a more intimate professional relationship? Would I find a therapist online? Of course not, I’d want a personal recommendation from a good friend. But with all the shame and half-starts that most people have when seeking a therapist, perhaps a way to introduce myself to someone online would be just right. The very idea of blogging annoyed me when it came to helping others. While I’m not against psycho-education per se, I’ve always told clients that if this work could be distilled, Dr. Phil-style, into a book then I’d write one, they could read it, and I’d be rich. If I wanted my job to be about giving advice I’d have become a bartender. I’d see people at their highest and their lowest and there’d be no ethics against demanding tips. And I’m not getting down on bartenders, but if we compared student loans I think they’d all understand. But I could get behind giving some tips. That could be helpful to lots of people and would keep me on my toes too with making sure I was up to date on the latest research. Blogging gets me to read other blogs and add to my store of knowledge. I was down with that. And then the rabbit hole really opened up. So we follow the White Rabbit to the world of social media. I’m not sure if it’s in the genes of people who become therapists, but many of my colleagues agree: we dislike spending time in front of a computer that could otherwise be spent in a session with a real, live person sitting across from us. Actually there in the room. We spend enough time on our computers with paperwork and figuring out our thrice annual taxes. We genuinely like to sit with people and talk. In my personal life just joining Facebook was a big deal, and I did that fairly late (although still at a time when poking peole and throwing sheepbwas considered normal.) And Twitter-what? Pinterest (How is it pronounced? ), Instagram, Reddit, LinkedIn…come on now—who they hell uses all these things? How would they be helpful for therapists? In all honesty, I didn’t use most of these platforms and most of the people, not just colleagues, but most of the people I knew didn’t spend their time on all these different social sharing spaces. I felt that my friends and I had a pretty healthy condescension for most of social media. We’d proudly announce that we were taking a break from Facebook with such self sacrifice for the greater good of humanity and ourselves that you’d think we were Gandhi announcing a hunger strike. To me these sites were really, when you boiled them down, all about ego. All of these sites were Look at Me! Look What I Did! Look How Happy My Life Is! Why would I want to announce to every potential client that I was a textbook case of Narcissism. But I gave in. I tweeted. I ‘liked’ and ‘shared’. I even ‘pinned’ a few times. I didn’t hate it. It felt like it was a more fun means of procrastinating than just trolling the Facebook pages of college friends who seem to be having so much success in life that they didn’t need to promote their jobs on Facebook. Here’s what began to happen, though. Other people on the interwebs did all those things to me as well. They retweeted and favorited. They shared. They followed me. We started to get to know each other. 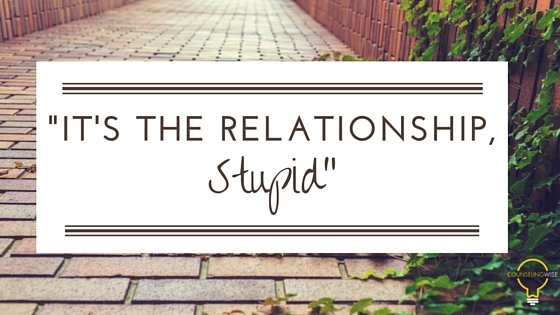 We started to build a relationship that differed from what was most likely in Sigmund’s mind. And these new relationships began to ask me for things. They wanted me to write something for them (like this article!) or review their book on Amazon. New clients that came to my office would tell me that they decided to meet me because of something on my website. They would quote something I wrote on someone else’s blog—where they landed while searching for help online. My twenty minute free phone consultation became them telling me why they thought we should meet. Somehow they had a relationship with me before I even knew they existed. The same thing happened with other online entities. Other people who were blogging and sharing and social media-ing. We began developing these online professional relationships. We were learning from each other, supporting each other. Talking about challenges and successes. We were feeling less alone in the traditionally lonely world of private practice. This was about introducing people to therapy. It was engagement. And it was engagement that adapted to the twenty-first century. The way I got over writing about what initially felt like shameless promotion was by reframing much of what I’m doing online as providing education. I didn’t have to write about how great I was at something, I just needed to provide information about…anger, parenting, anxiety, sadness, feeling feelings, coping skills…you name what you want to teach people about. What you wish someone knew. It’s as if your blog could be the 101 Course of your client’s treatment. Coming to sessions is the advanced course and most of your clients will have already passed their pre-reqs. While they are learning a little more about their ADHD or their Depression, they are also taking in the fact that you are the person who knows a ton about their concerns. This is important because often our clients do not decide one day to get a therapist, then call a therapist, then show up for their first appointment, and then stick with the treatment. They’re unsure. And if they’re just dipping their toe in by reading a blog post on the-top-five-reasons-that-you-are-signalling-that-you-are-not-as-ready-for-a-relationship-as-you-think-you-are and then come back to read about how-people-often-attract-the-same-kind-of-person-unless-they-make-changes-within, well, then once they are ready for therapy they are going to choose the person to whom they’ve been “listening.” They are going to choose the therapist they “know”. The one they have a relationship with already. So there it is. It’s less about self-promotion and marketing (but it is marketing. I don’t want to hide that. Yes, we’re still marketing and those of us who are uncomfortable with that still have our own work to do.) and it’s more about education and about forming relationships. Ok, insert all the tropes about the end of society because we’re not engaging in meaningful contact with each other, we’re disconnecting, all of that…but we can also choose to use the best of the internet in a wonderfully, positive way. A way that promotes positive mental health, that encourages the people—who already spend their time Yelping in order to figure out where to have dinner or read Amazon reviews to decide which soap to buy—to enter therapy. I know, we’re not products and we’re not a meal. We are a high end service that brings a lot of good into the world. Well, let’s do it even more. 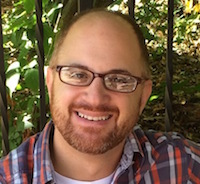 About the Author: Justin Lioi lives in Brooklyn, NY where he has a private practice that specializes in men’s counseling. He has worked with families since 2008 and after several years of listening to fathers speak mostly about their children decided to put their needs front and center. He is a former New York actor and Music Together teacher and is an elected member of the National Association of Social Workers. 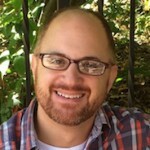 He blogs regularly on men’s issues as well as relationships and parenting at www.ParkSlopeTherapist.com. A good way to start is by watching your words. Great article with insights about social media, blogging, and marketing. As therapists, we don’t learn social media in school so it does not come natural for us. I enjoyed reading your article. Thank you for writing this, it broke down so many similar thoughts I’ve had. Much appreciated! Great article! I’m glad to know that I am not the only one! Nice post thanks for the shared with us.. please keep it up wit a new post.. really great job and good wok..